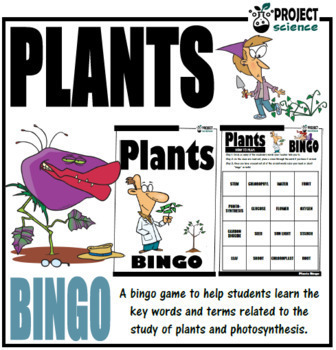 A bingo game designed to help students learn the key vocabulary and definitions used when learning about plants and photosynthesis. - A fully editable PowerPoint presentation which contains each of the clues. 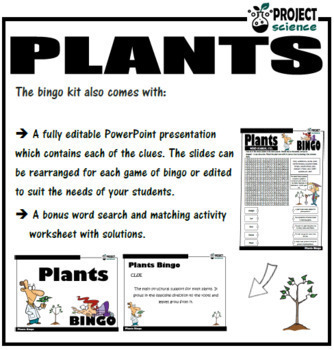 The slides can be rearranged for each game of bingo or edited to suit the needs of your students. 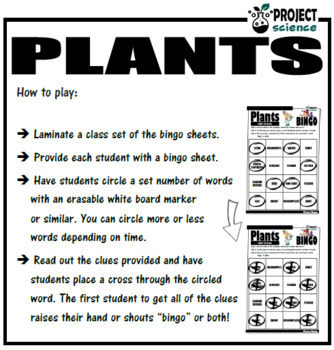 - A bonus word search and matching activity worksheet with solutions. 1. 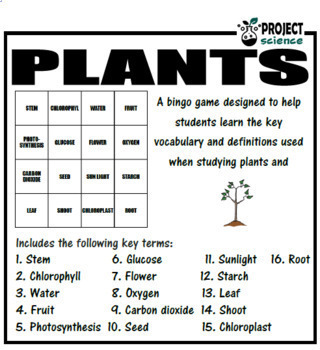 Provide each student with a bingo sheet. 2. Have students circle a set number of words with an erasable white board marker or similar. You can circle more or less words depending on time. 3. Read out the clues provided and have students place a cross through the circled word. The first student to get all of the clues raises their hand or shouts “bingo” or both! If you would like updates on free and new products please follow me by clicking the Follow Me link above.